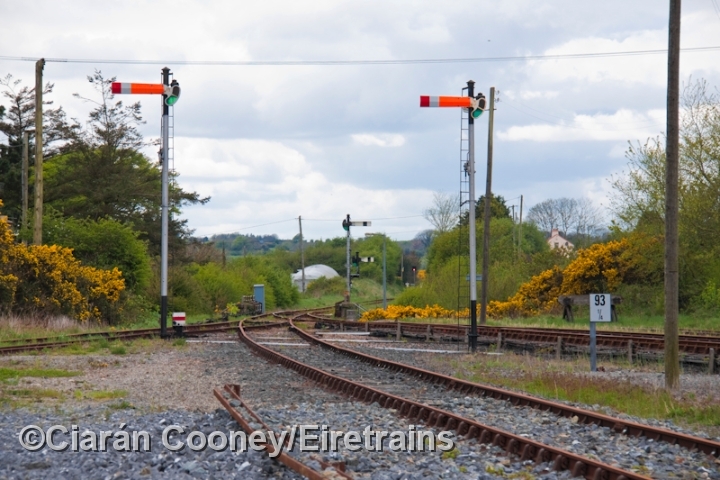 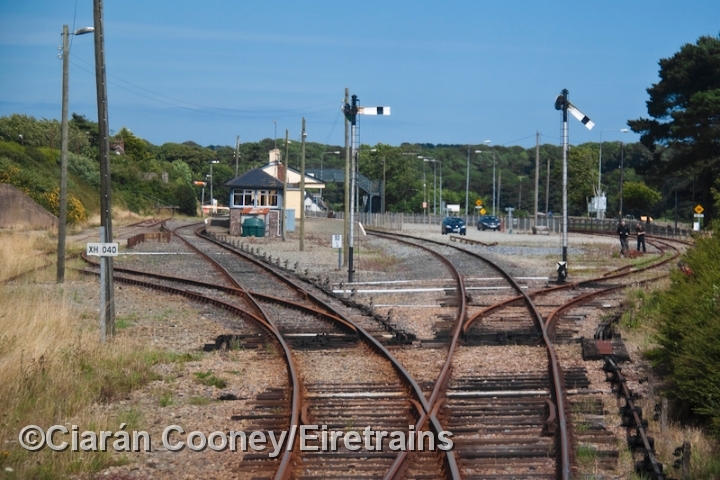 Wellingtonbridge, south Co.Wexford, is now the only blockpost station on the Great Southern & Western Railway's 1906 constructed line from Waterford to Rosslare Harbour. 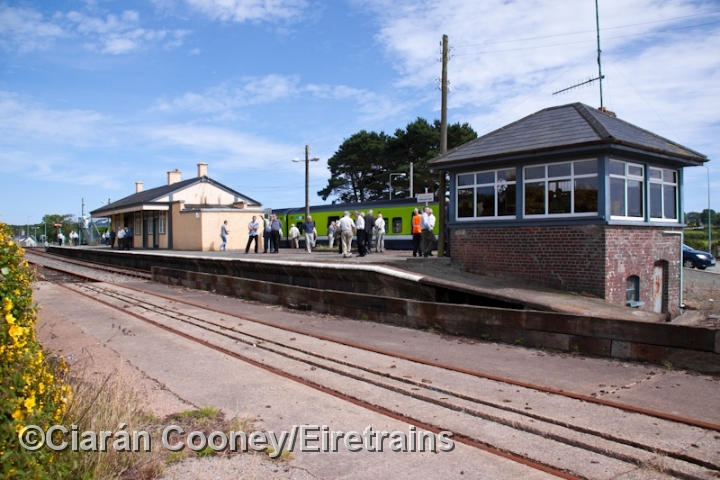 The station is typical of the type built on the line, and is the only one left to retain all its station buildings, which are located on a single island platform, with a small signal cabin located at the west end. 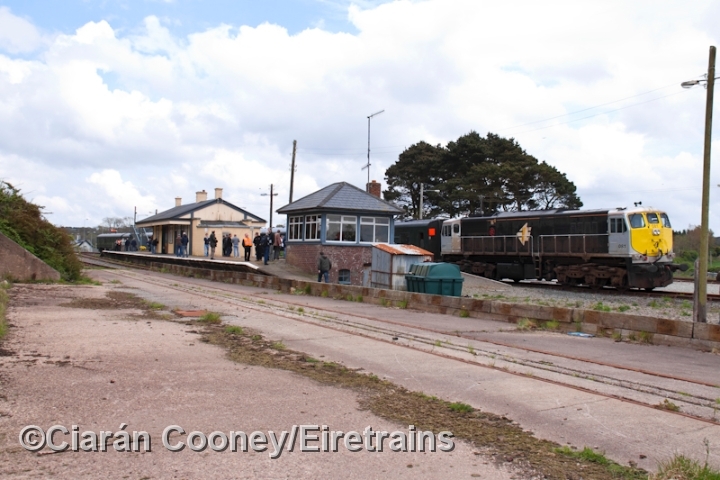 The station building is made of corrugated iron and is one of the larger examples to be built. 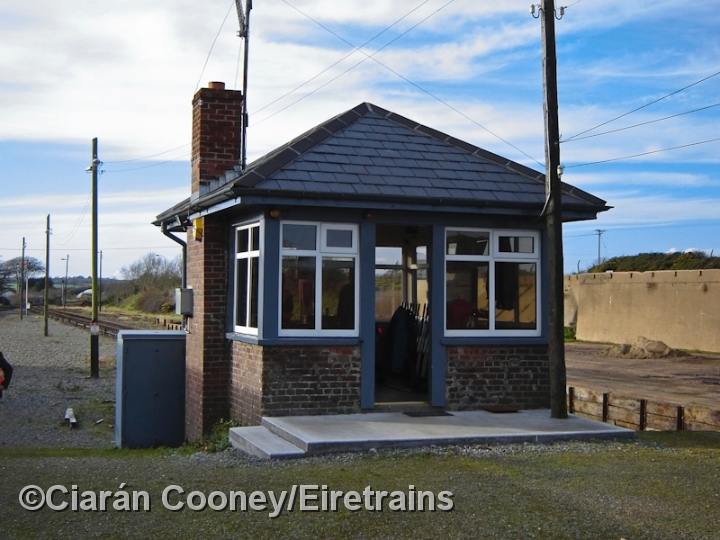 At the east end of the station is the staggered GSWR ornate footbridge and station level crossing. 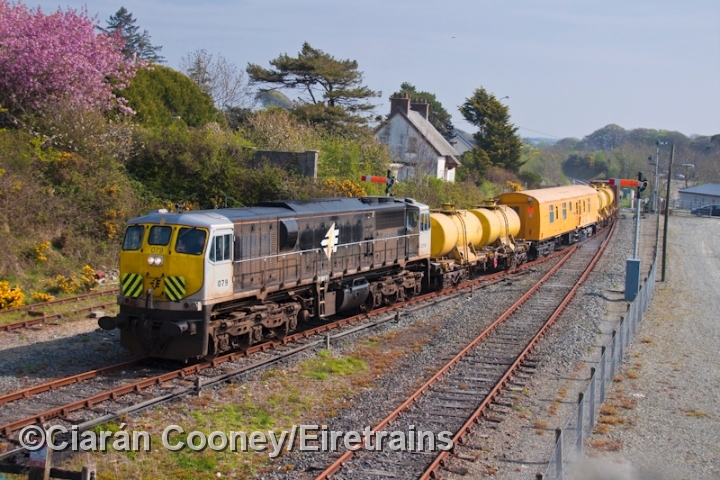 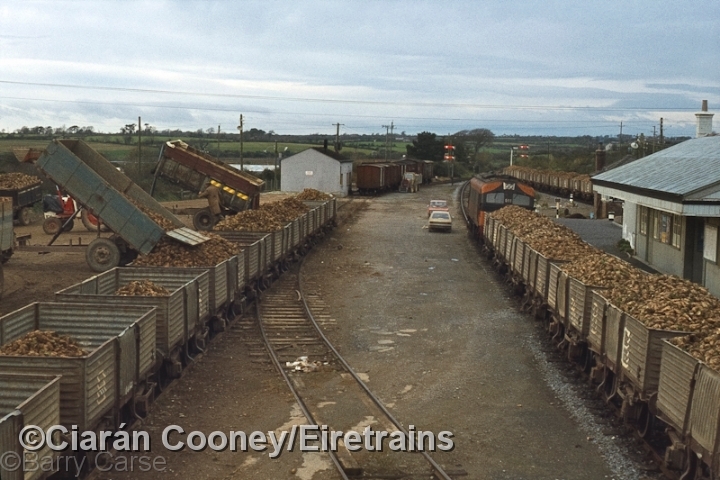 In the late 1970s, a large sugar beet loading plant was built adjacent to the station serving trains to both sugar factories at Thurles, and latterly Mallow. 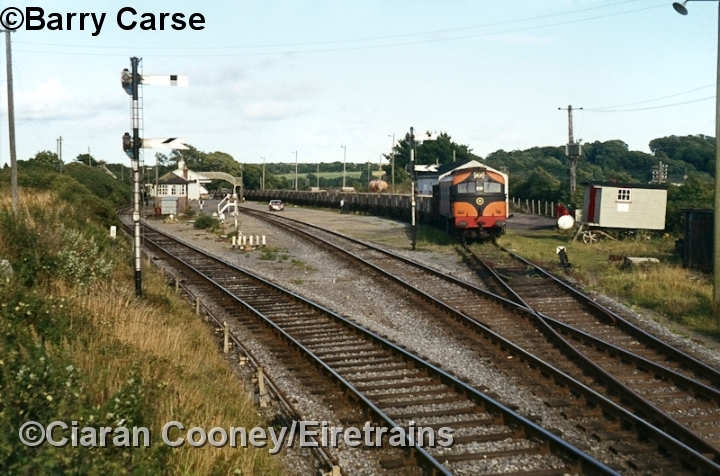 This traffic unfortunately ceased in 2005. 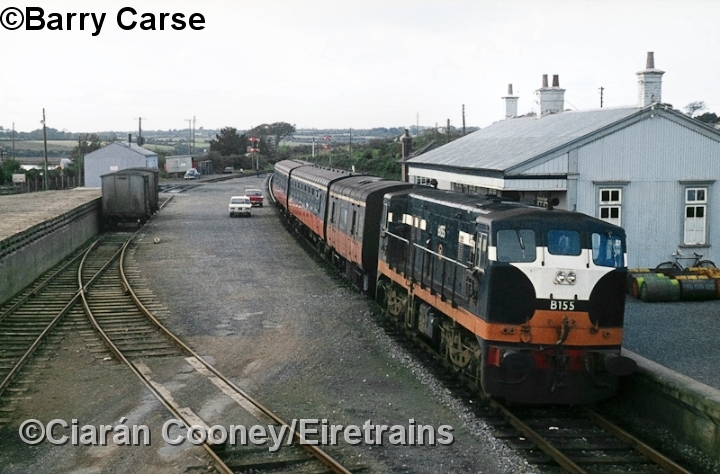 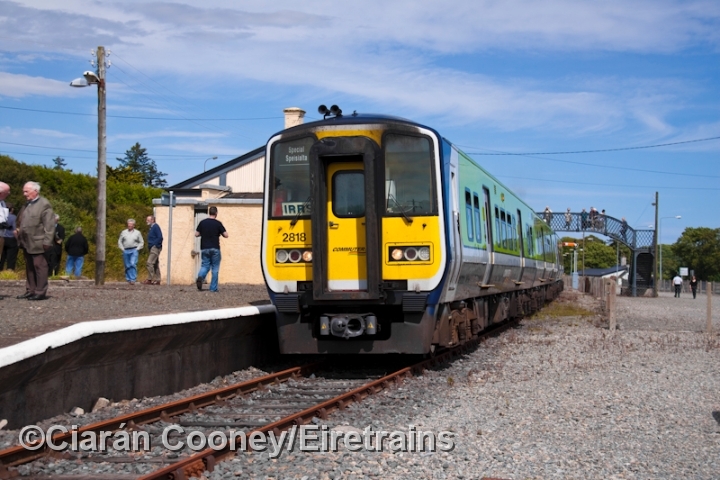 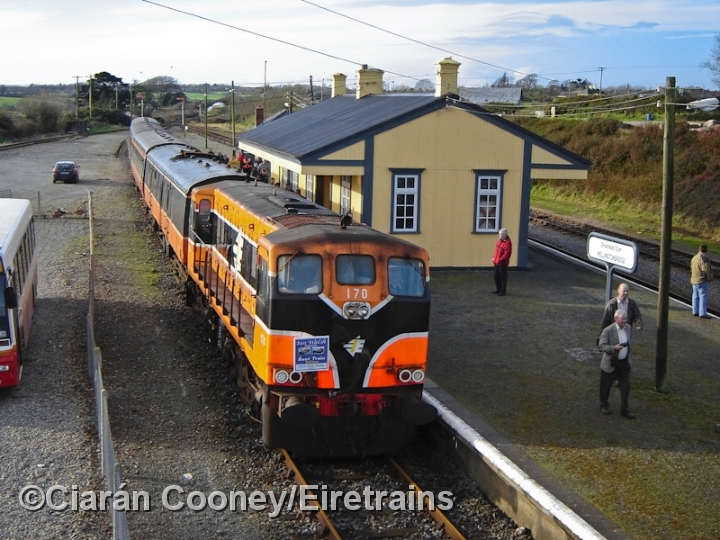 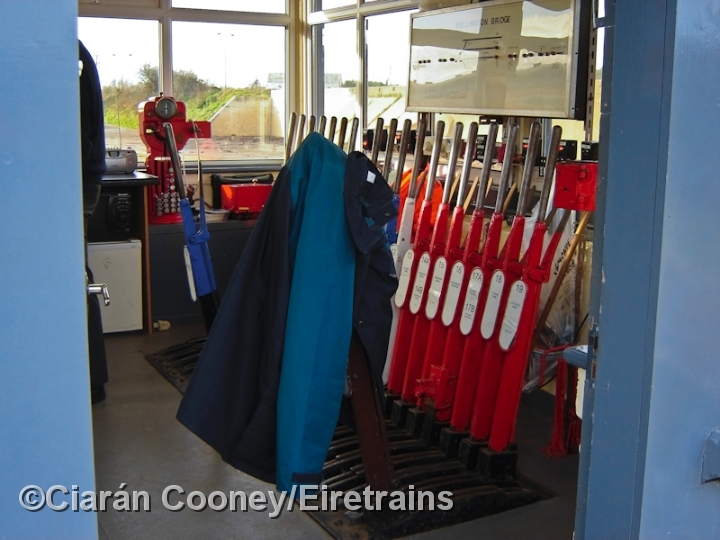 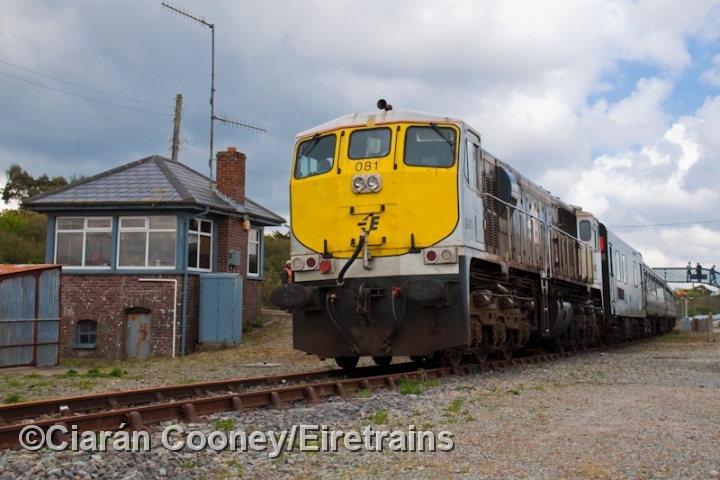 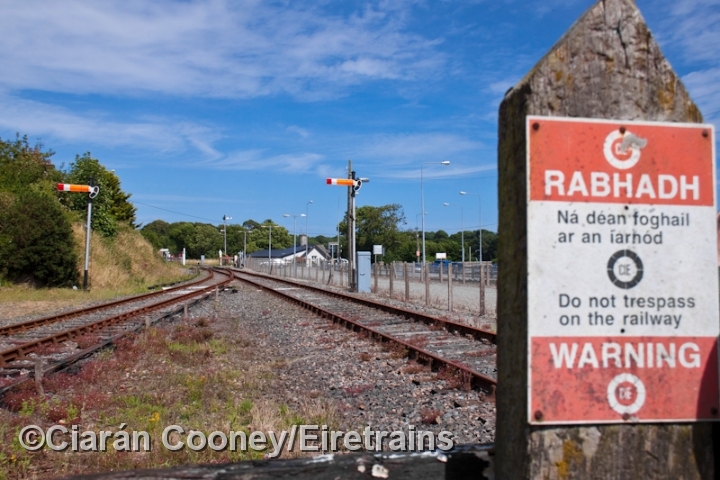 Recently, passenger services on the Waterford to Rosslare line were withdrawn in September 2010.